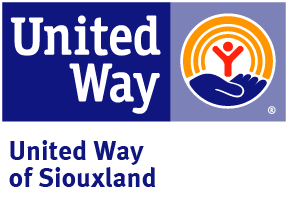 The following initiatives are funded by United Way in an effort to promote collaboration & maximize the results achieved as we focus on advancing education, income & health. Beyond the Bell - After school partnership that is focused on helping children reach their full potential by providing a safe place to learn, grow, and play. Imagination Library - Preschool based program where children (birth to 1 year) can receive a new book in the mail every month until the age of 5 to enhance their reading skills. This program is helping us reach our goal of ensuring that children are reading proficiently by the 4th grade. Iowa Reading Corps - With an overarching goal of ensuring that more Iowa students are on track to read at grade level by the end of the 3rd grade, Iowa Reading Corps will replicate a successful, evidence-based model first launched in Minnesota in 2003. EITC (Earned Income Tax Credit) Outreach - A partnership to provide improved access to free tax preparation sites as well as education about the tax credit. Anti-Bullying Efforts - Expanding upon current anti-bully efforts and implementing supportive programs to reduce bullying and violence in our local schools. The "beSomebody" campaign is the latest effort to help against bullying. Click Here to visit the beSomebody website.